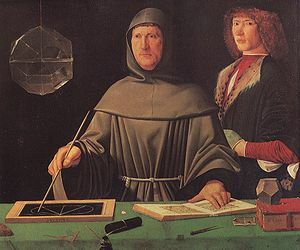 PACIOLI as a title for this workshop honours the Italian monk Luca Pacioli, who wrote the first textbook on double entry accounting in 1494. Pacioli did not invent double entry accounting, but he was the first who wrote a book about the subject. By writing it in Italian he made double entry accounting available for a wide audience. The similarities with the PACIOLI project are that both deal with bookkeeping and that one of the aims of the PACIOLI project is to disseminate some Dutch experiences with the information modelling approach in agriculture through Europe and in that way make the knowledge accessible for a wider audience. Pacioli started as a concerted action to assess the need for and feasibility of projects on the innovation in farm accounting and its consequences for data-gathering on a European level through the Farm Accountancy Data Network (FADN). Pacioli (AIR3-CT94-2456) was originally funded by the EC under the AIR specific programme of the Community's Third Framework Programme for Research and Technological Development. After completion of the contract the partners decided to keep the network alive at their own initiative.